Tonight on TLC Toddlers & Tiaras returns with a new episode. Tonight’s episode is called “Southern Elite: Cirque” and on tonight’s show Jersie,6, Ashley, 6, and rivals Gracie, 7, and Faithlyn, 9 all compete for the crown in Lexington, Ky. Did you watch last week’s episode? We did and we recapped it here for you. On tonight’s show we met 6-year-old Mackenzie who thinks she is a rock star and who said she was going to rock the pageant. I gotta tell you this 6-year-old could give Honey Boo Boo a run for her money. Mackenzie has been in the pageants since she was a baby. She says she likes to shake it up on stage, rock it on stage and strut her stuff. She thinks everyone is jealous because she has pretty eyes, pretty hair and it is exhausting being beautiful. This little girl is going to be a handful when she grows up. On tonight’s show Jersie, 6, Ashley, 6 and rivals Gracie, 7 and Faithlyn, 9 all compete for the crown at the Southern Elite: Cirque Pageant in Lexington, Kentucky. Tonight’s episode is sure to be filled with the usual Toddlers & Tiara drama, which you won’t want to miss. 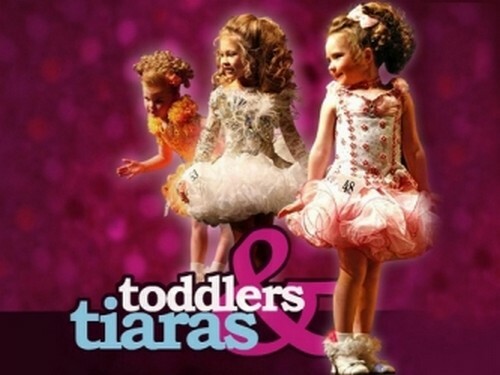 So be sure to tune in for our live coverage of TLC’s Toddlers & Tiaras – tonight at 9PM EST! While you wait for the recap, hit the comments and let us know how much you are enjoying this season of Toddlers & Tiaras? Tonight’s recap: Kentucky State Pageant Carnival Glitz – The director for the pageant believes her pageant is the most intense. We shall see. Aynor, South Carolina – Gracie is our first contestant of the day. Kacie is Gracie’s aunt and pageant mom. She used to do pageants growing up so she is a seasoned vet. Mom Shannon is okay letting her sister take the reins. Lexington, Kentucky – Christie and Ashley are next. Ashley is the pageant queen who can talk and talk and talk. Christie is her mom who patiently listens to her chatterbox. Kathy is Ashley’s pageant nana, meaning she bank rolls things. Fairdale, Kentucky – At the dance studio is Danielle and Jersie. Danielle is Jersie’s overzealous mom. Jersie is getting ready for her first every pageant and it seems to be a lot of work just to get her to pay attention. She won’t walk to her coach…she talks to her big sister only. Jersie and Danielle aren’t quite sure how things work with pageants, but they are focusing on making Jersie the center of attention. Christie is making sure Ashley continues to practice as well, except Christie says she makes her baby girl practice until she starts crying or breaks down. Ashley is definitely getting sassy and annoyed with mom. Shannon and Gracie is stressing over Gracie’s upcoming pageant. Her biggest rival is Faithlyn (from last week’s episode). Nicki, Faithlyn’s coach, had some not so nice things to say about poor little Gracie and mom Shannon is not having any of that at this pageant. The girls have made it to the pageant and the director is all too aware of the rivalry between Gracie and Faithlyn. She likes to stay out of the mix. She believes Jersie has an edge because she is a dancer, but she thinks Ashley is a sweetheart. Nikki and Faithlyn have arrived and Nikki has no problem talking about Gracie to the other contestants. She was bold enough to tell Ashley that Nikki is not that pretty or cute. Christie does not want to hear any of that. Jersie is first up and she has all the confidence in the world. Besides a little trip up she looked like a pro. 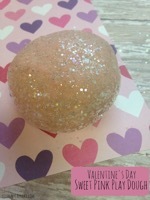 Ashley’s nails are not staying on because of the glitter nail polish. Mom Christie is trying to fix it, but they are already calling Ashley’s name to the stage. The judges do not look pleased. Ashley manages to make it in the nick of time. One of the judges does not think Ashley was energetic enough. Shannon and Kacie are upset with Nikki continuously bashing Gracie. Gracie has on a red dress, but so does Faithlyn. Nikki is adamant that Gracie wore red only because Faithlyn did and says Gracie’s dress looks like s***. Jersie is back and she shows off her dancing skills. She had a lot of acrobatic moves which the judges loved. Nikki is still making things awkward by telling Ashley that Gracie was ugly and that Faithlyn was the prettiest girl in red. Faithlyn is on stage and doing what looks like a strip tease. Gracie is a little nervous now. She performs and is extremely confident. Of course Nikki has nothing but ugly coming out of her mouth. Shannon confronts her and Nikki calls her trash and walks away. Why do they keep showing her? Nikki is disgusting. Time for crowning. Ashley and Jersie are in the same category. The Duchess is Jersie. Not bad for her first pageant. Ashley wins Queen. Gracie and Faithlyn are next. Gracie wins Queen. Grand Supreme goes to Faithlyn. Her attitude alone she disqualify her and her coach. Gracie was the bigger person and congratulated Faithlyn. The moms are tired, but the girls are ready to start prepping for the next pageant.